Trying to find out the value of old books can be daunting at times. This is a guide about finding the value of old Webster's dictionaries. 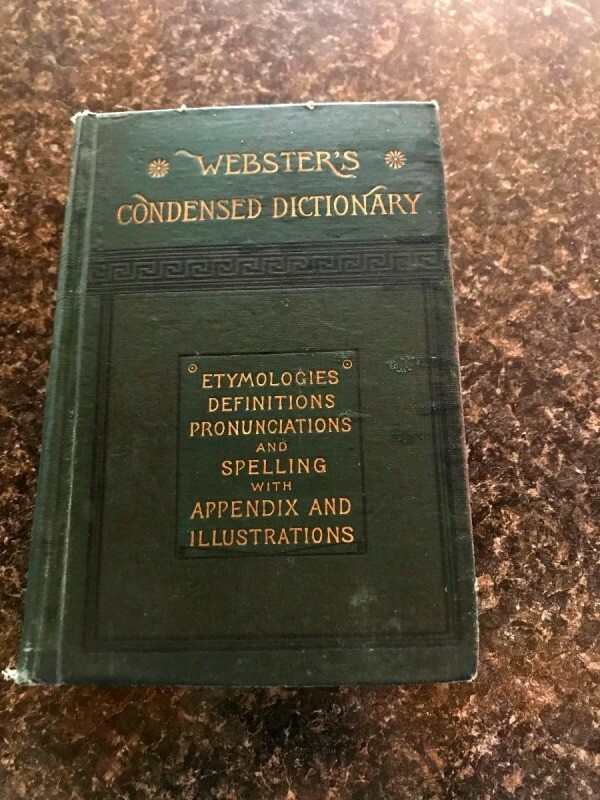 What is the value of a 1949 Websters Dictionary set in great condition? it does look to be in very good condition. of course the caveat is "are people actually BUYING these things?" That's a different question, and the answer most like is, no. These sort of commodities move very slowly. I was wondering about the worth of the New Twentieth Century Dictionary, unabridged. 1943 is the publish date I believe. 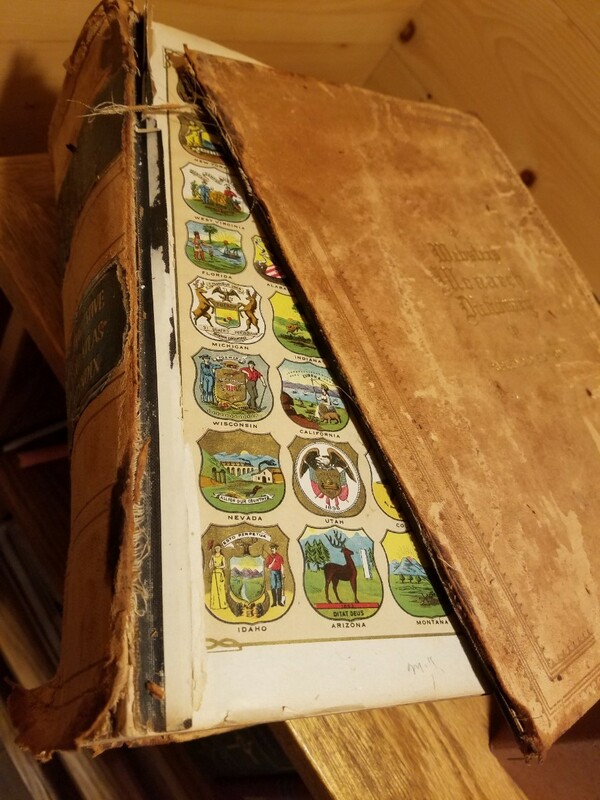 My husband is an auctioneer and we often see these books at auctions. Right now, the book is bacisally not worth anything. In a few hundred years, if it is in great condition, it will be worth something. Modern printing enabled books to be mass produced, thus cutting down on the value as their are many still on the market. 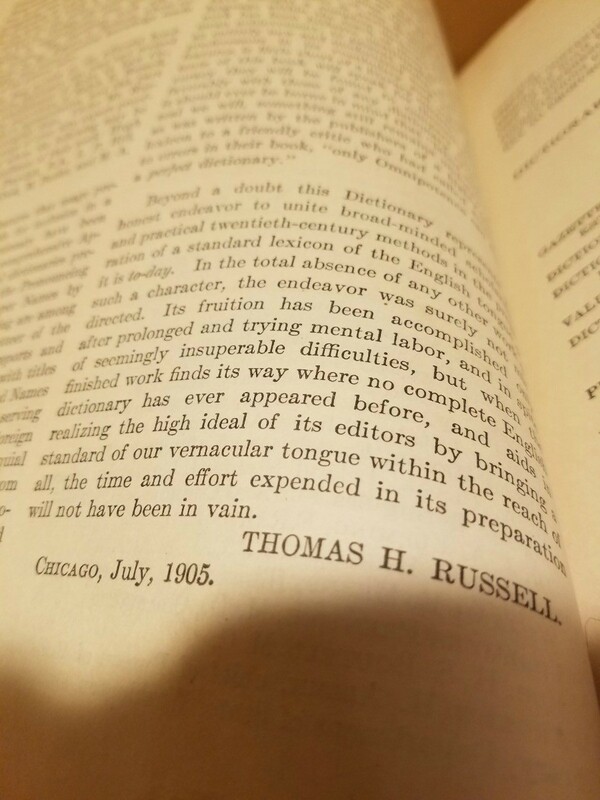 What is the value of a Webster's International Dictionary from 1928 (India paper edition)? 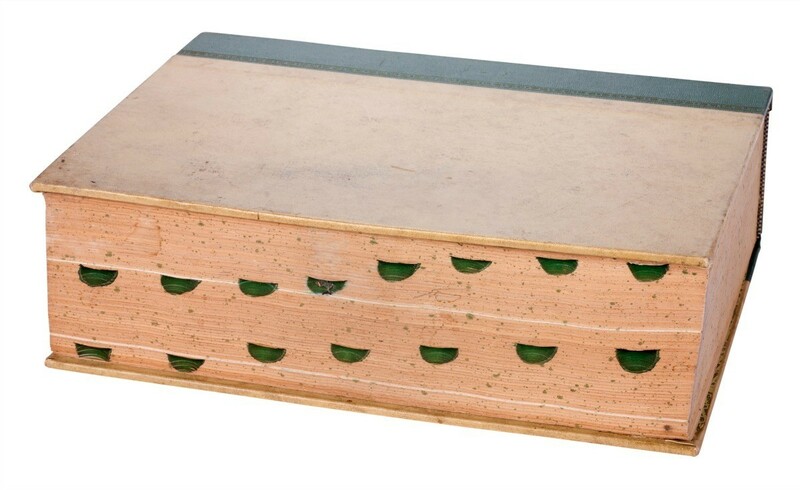 Many people think old Dictionaries have a value. Your dictionary is from 1928. Therefore, it isn't 100+ years old. 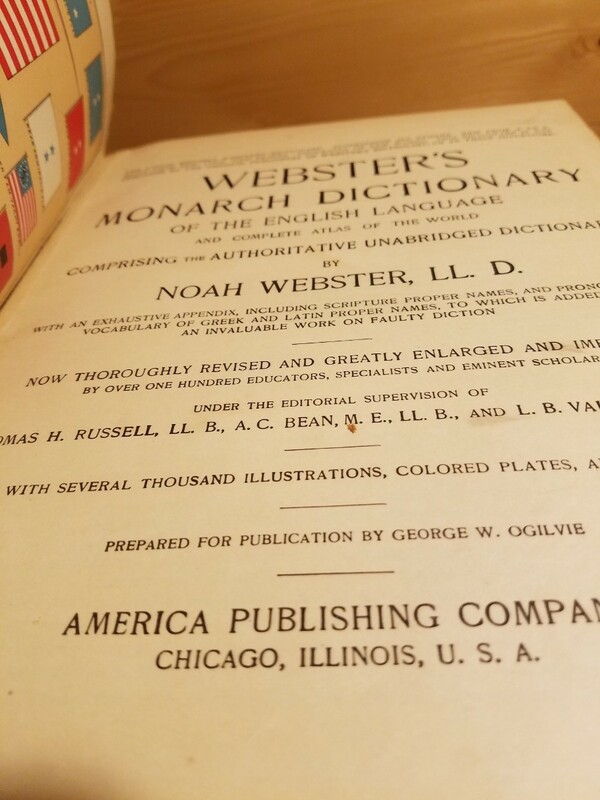 There is a set of 2 Webster's International Dictionary from 1928 listed on eBay. The price they are asking is $25.48, but the shipping cost is $56.35. Shipping any book is rather expensive and normally shipping costs more than the book. When selling your book the most important thing to consider is the condition of the book. The cover, binding, pages determine the value of your book. Is your dictionary bound in reddish leather brown, with gold writing? 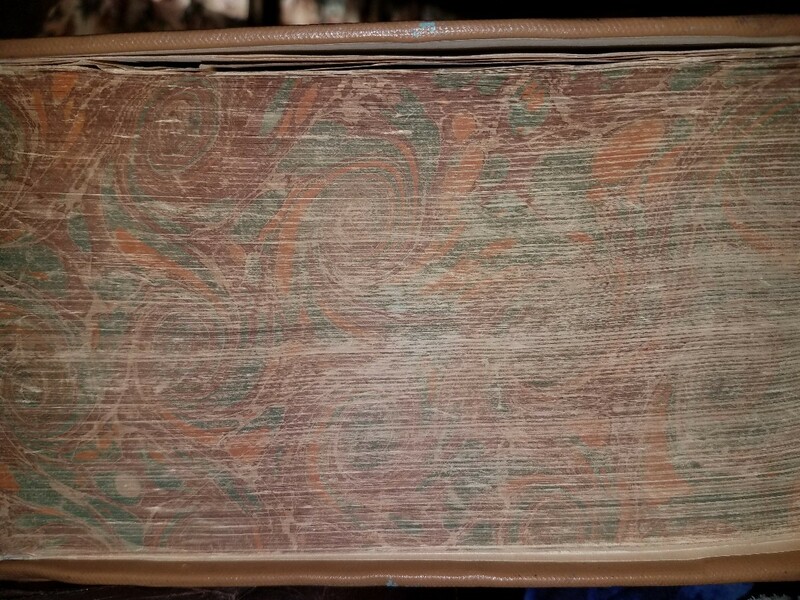 What condition is this book in? This book comes up for auction quite frequently so it doesn't make it a rare book or one that is sought after often. It is difficult to give you an exact price considering you didn't post a picture of your dictionary and if it is bound in leather or not. This is the closet I can give you for a price. 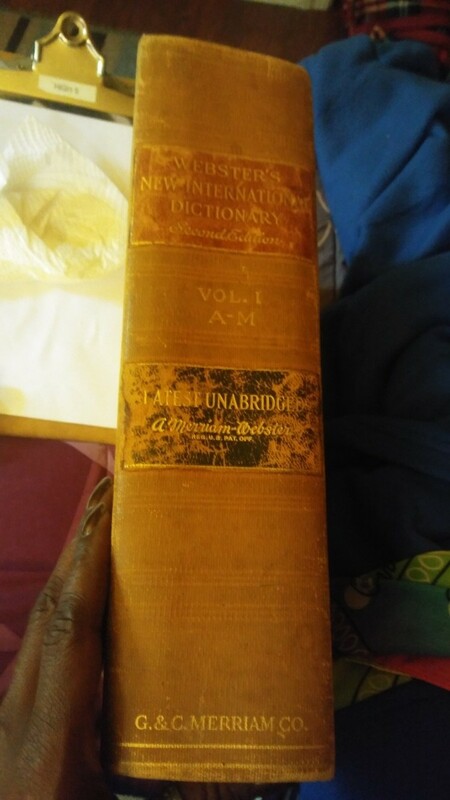 I am looking to see what my copyright 1884, Webster's Condensed Dictionary may be worth? Thank you! 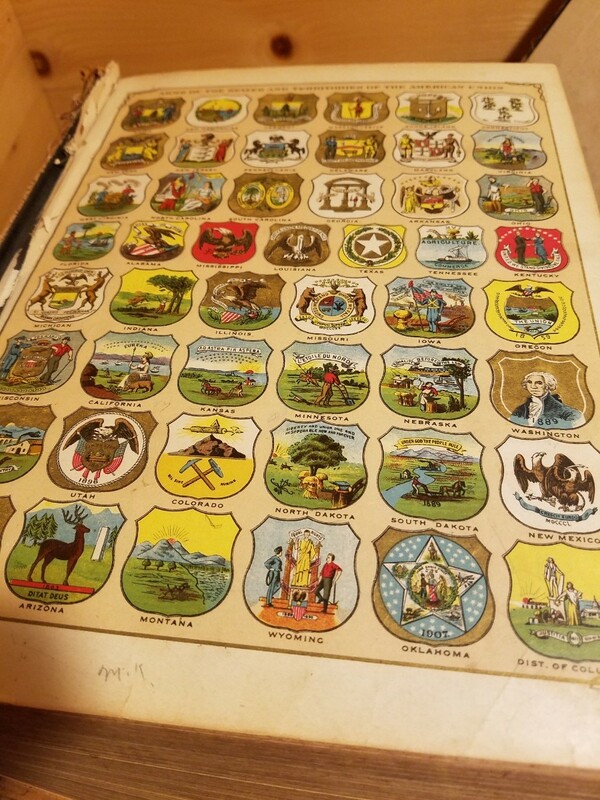 Although this book was published in 1884 there are still a large selection available on the market so it is not really that rare. The condition of your book may make it worth more than some but several have sold in recent months for under $20. Book sellers list mostly on eBay, Amazon and Abe's Books so these are the sites you can check for what sellers are asking for their books. The problem lies in that word, "asking", as most book sellers have hundreds/thousands of books listed for sale and some will remain listed for months and months and even years and some will never sell. Listing is cheap (or free in many cases) so they do not care how long a book is listed for sale. They know that one day someone may just buy it for their price without checking what other sellers have and it does occasionally happen. Books are notoriously slow sellers unless it is truly a rare and collectible item. I do not believe we can place a true value on your book but it does seem they are selling for $20-$60 - when they sell. Here are some books that have sold on eBay over the past several months but newer editions seem to be selling for more money. Here are a couple from other sites but no sales yet. You can list a book at whatever price you desire and wait to see if it sells or reduce the price and maybe sell it or remove it and donate it to a worthy cause as many sellers do each year. 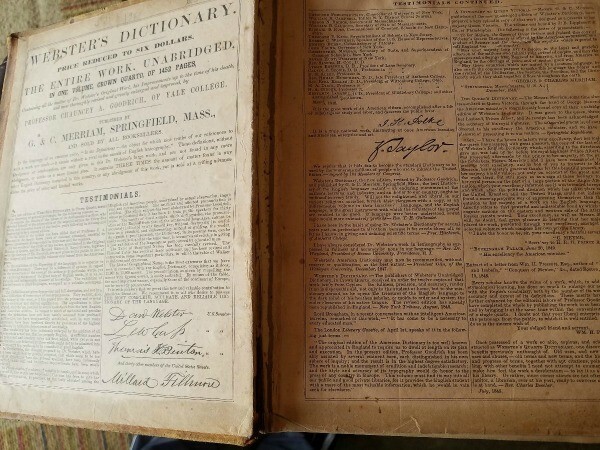 I have an 1855 Webster's dictionary. 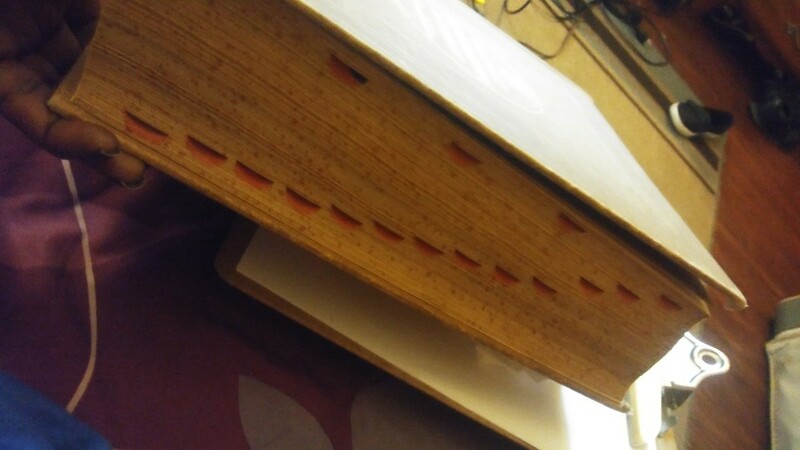 The pages are in good condition, but the cover is worn. It is leather bound. You can go to an auction house for antiques and talk with them. The issue here would be the condition of the cover. I'd say that you should be able to sell this for around $100 - 150 easily. The price is always based on the supply and demand plus the condition of the book. Your best best is to talk with a person at an auction house and see what they can tell you about the price range they are selling for. 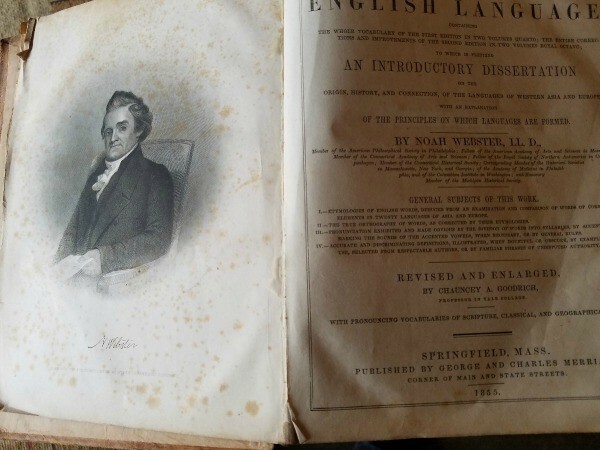 I have a 1934 Abbot's Selected Webster's Dictionary of the English Language. The cover is messed up, but how much do you think it would be worth? As of today the books aren't worth too much at all. Today they consider books 100+ years old have value. As for yours, they are still not old enough to be worth much. You have two choices. Box them up and keep them around for a few more years or you can try selling them off. You won't get that much for them if you try to sell them now. I have a book I'm looking for the correct selling price. It is a Salva-Webster's dictionary (gold letters) - English-Spanish and Spanish-English. It was compiled by Dn. J. Gomez, PhD. 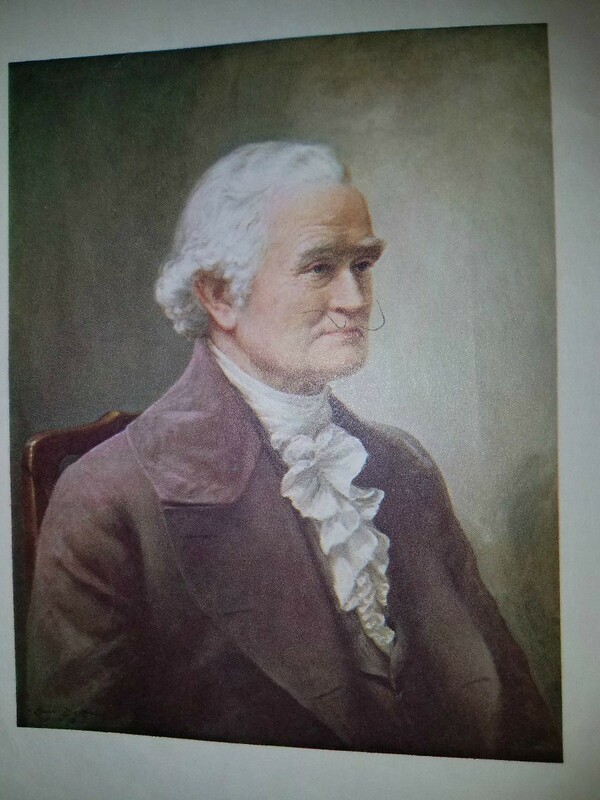 It included a geographical and biographical encyclopedia and colored maps. It is the new and thoroughly revised edition 1938. If you tried to sell this now, you'd not earn much on it. Too bad it is a bit older because all books over 100 years can earn a good price. This book can still have value and the only way to find out for sure is through an auction house in your area. They would be the best people to contact to appraise this book for you. I am trying to find value of a dictionary I own. It is a Webster's - An American Dictionary of the English Language, published in 1900. It is a revised edition of the original dictionary first published in 1828. What is the value of a Webster's Twentieth Century Dictionary published by Publishers Guild, Inc. in New York, NY in 1939? Many people have old books they think are valuable and would like to sell. Most old dictionaries, references etc., have very little value-a few dollars at most. Encyclopedias dated after 1923 are essentially worthless but crafters may be interested for the old pictures. Goodwill, Salvation Army, etc., receive donations of tons of old encyclopedias and reference books but send them to recycling centers or dumps as they cannot use or sell them. 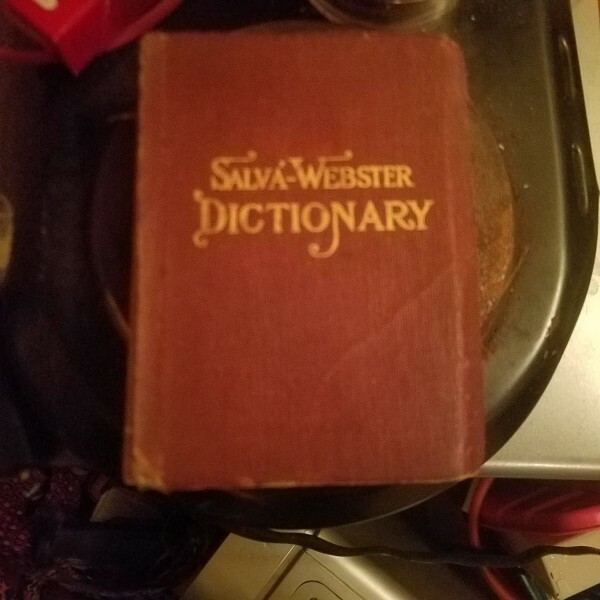 I have a 1961 Webster illustrated dictionary and want to know its value. If you have the item in front of you, see if it matches any of the photos...these are all SOLD items from Ebay. When trying to value, don't go by what people ask...use what actually sold. 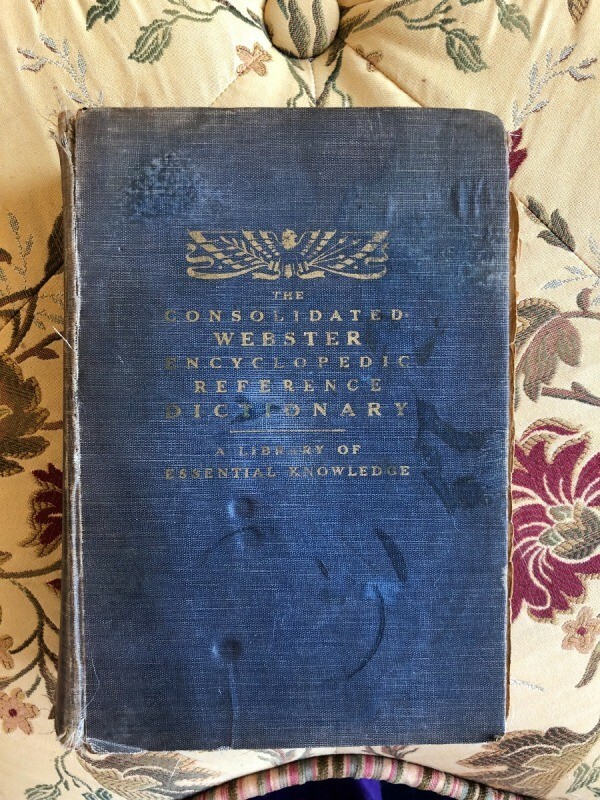 I have a copy of the Consolidated Webster's encyclopedia reference dictionary. 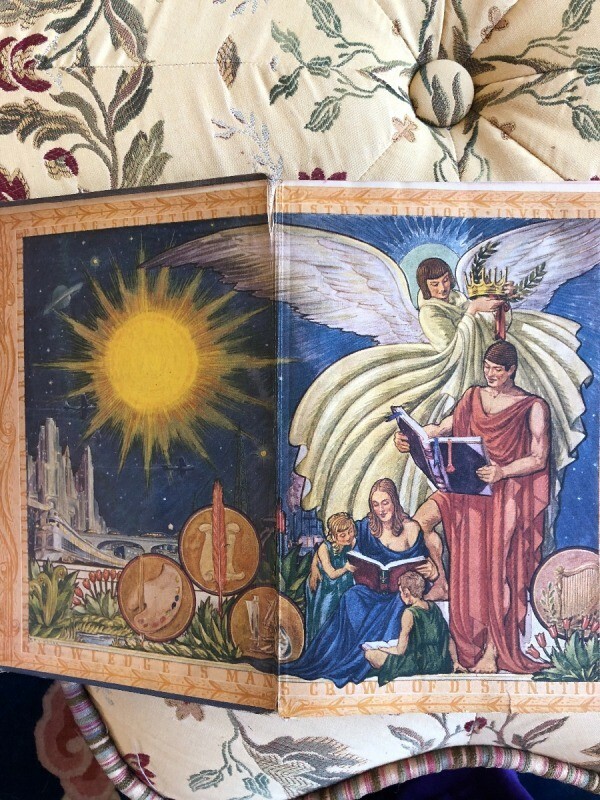 There is no date, but there is a colored picture inside the cover Do not know age or value? The hard cover is worn. Normally, all books have a cover page or a page that explains the date, publication and all the other information about the book. It appears yours is missing or you can't find it. The only way to do this is through an auction house in your area. They have all types of experts for auction houses that can determine this better than anyone else. I would go there and ask for their advice on this. I am curious the value of my book. I realize that in some cases mass production means there are many copies out there. But in this case I haven't been able to find a match to mine (just one that was close) in order to establish a value. 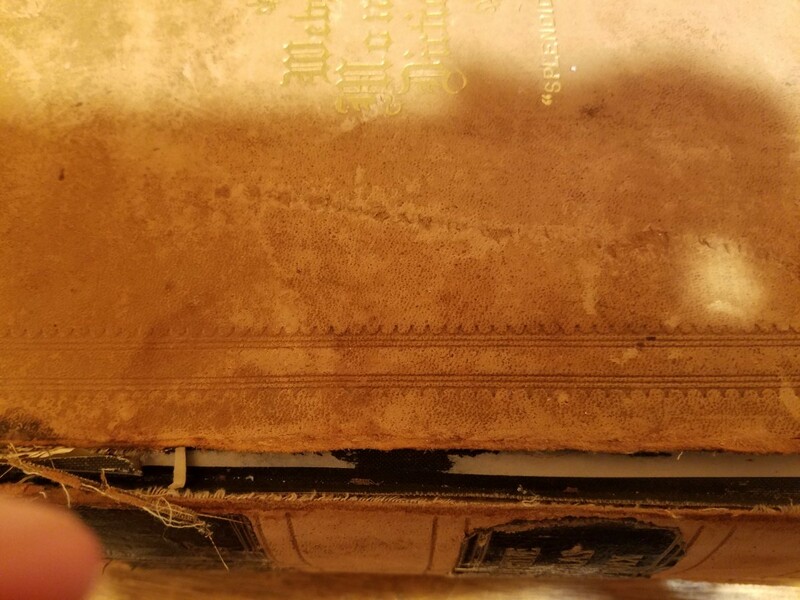 The front cover binding has pulled away and the leather cover is worn. The inside pages and those with color are still vibrant and in excellent condition. Do you have an idea regarding the value of this book? Thank you! I have a 1947 Webster's Illustrated tower dictionary and atlas with encyclopedic supplements. I have read other questions and I'm sure that it's not valuable, but would it be if there was a misprint? Savannah and Brunswick Georgia are in the wrong location on the atlas. I haven't seen anything on web about that so I was wondering. 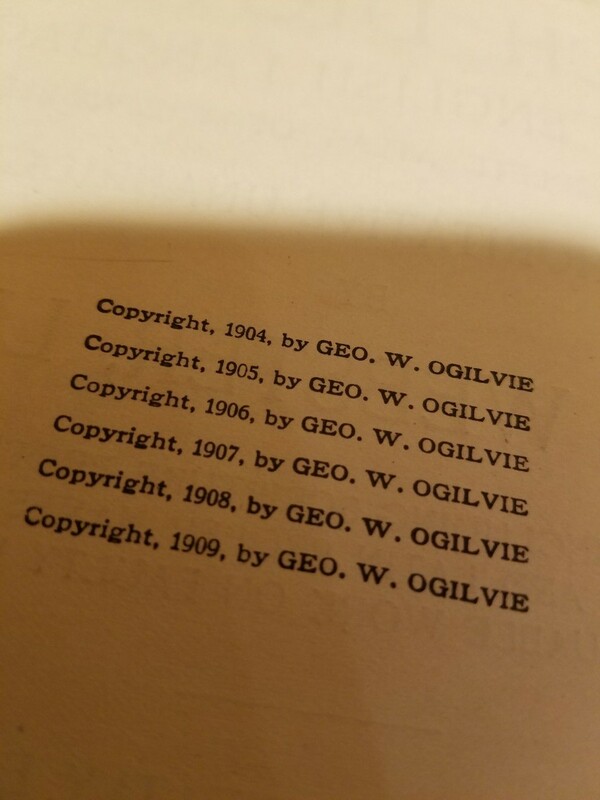 Books dont have value unless they are over 100 year old. Your book isnt that old yet. 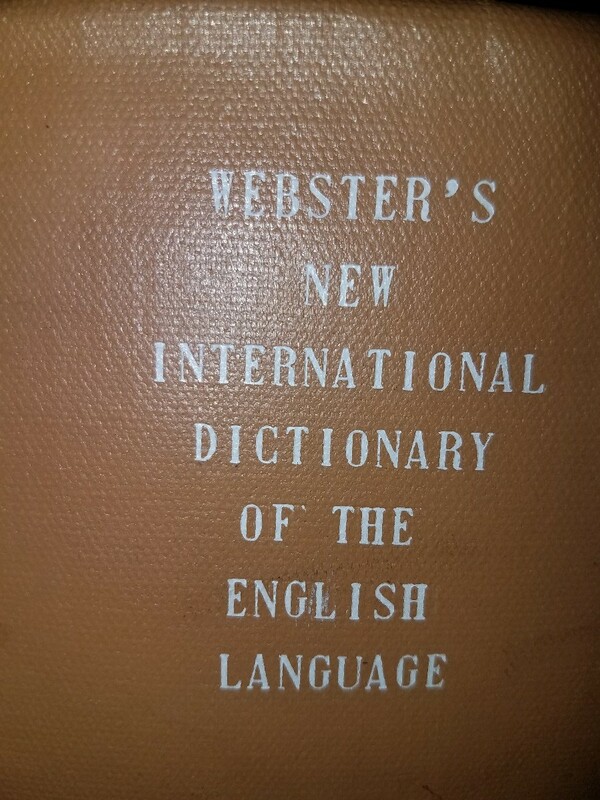 What is the value of a 1943 Webster's New School and Office dictionary self-pronouncing? Many people have old books they think are valuable and would like to sell. Most old dictionaries, references etc., have very little value, a few dollars at most. You can check online for old book collectors, on EBay, Craigs List and other retail sites for possibilities. Everything is now online and updated constantly so old books are just that-old. I have a Peabody's Webster's dictionary with no copyright. It looks extremely old. Can anyone tell me how to get a price for it? This is documented as a 1943 Webster's New International dictionary of the English language-second edition. It has the colorful design on the outside edges of the paper. The title is in white letters. The cover is brownish red. I can't determine if it's leather. There is no embossing. The photo of N. Webster is different from the one depicted in other like dictionaries. Is it genuine or a knockoff? 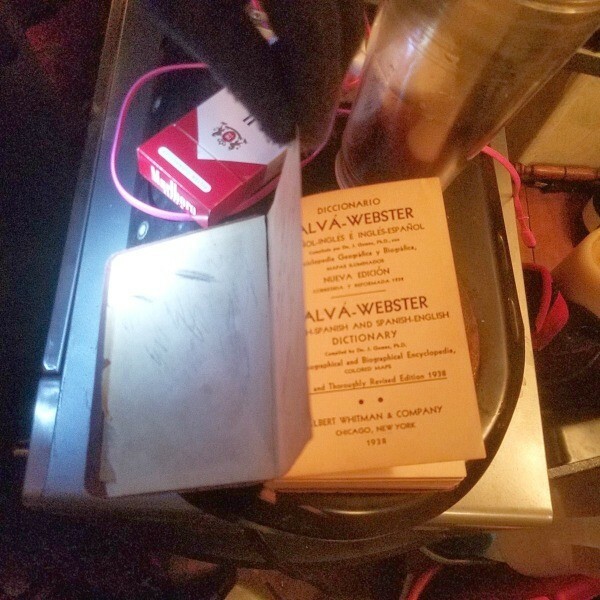 I am trying to find out if my 1960 Webster's dictionary has any value. It is 2129 pages long. 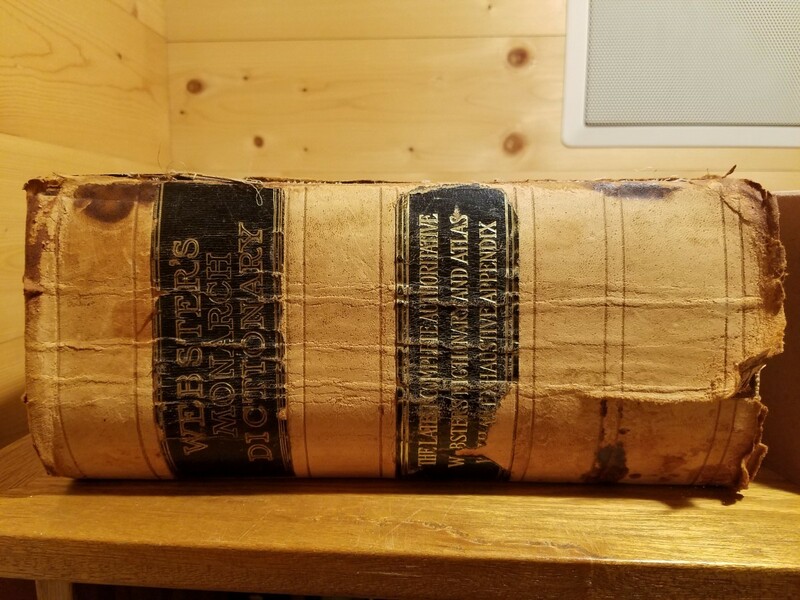 What is the value of a 1912 New Websterian Dictionary? It has a black leather cover. 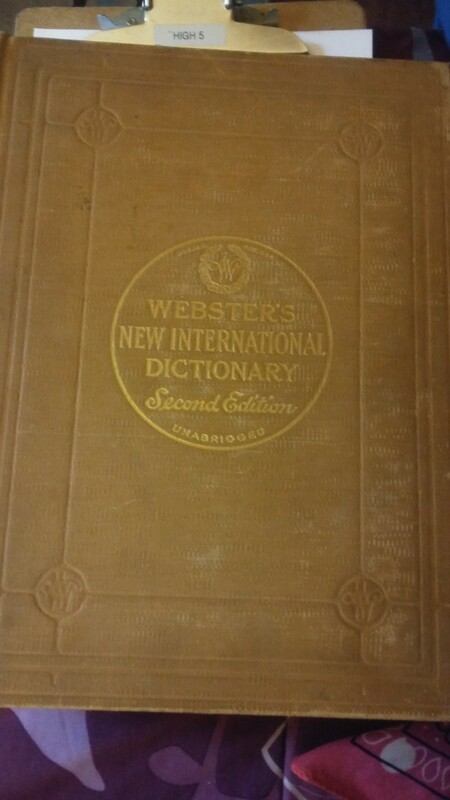 I found this Webster's collegiate dictionary 1924 in my grandmother's house. Can you tell me the historical value of it and how much it is worth please? I have a copy of the Consolidated Webster's Encyclopedia dictionary published in Chicago, 1951, Franklin J Mean editor-in-chief. 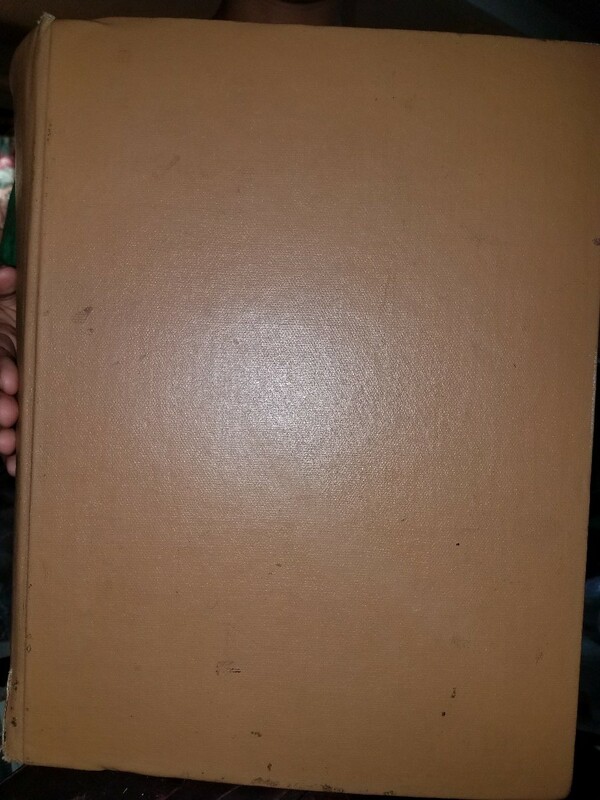 What is this book worth?